December Holiday Specials. All Month Long, Plus 12 Days of Christmas! 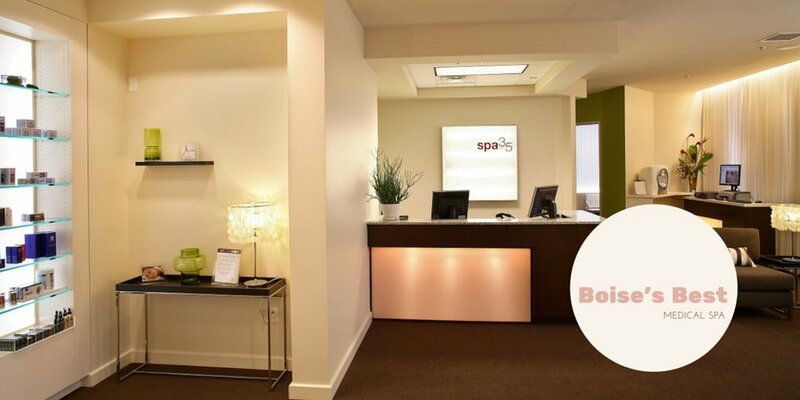 You have two great ways to look your best this holiday season with a little help from Spa 35 Med Spa. In December we have outstanding promotions on CoolSculpting® non-surgical Fat Removal, Botox® wrinkle removing injections (think Crow's feet), Kybella® fat dissolving injections (specifically for under your chin) and cosmetic dermal fillers to plumb up your cheeks and lips. Also in December we have 12 Days of Christmas Flash Sales. Starting December 5th and running through December 20th, each weekday we'll announce a one day only flash sale. To get the discounted price you must purchase that day and agree to get the service by January 31, 2017. Check our website each morning to see the special each day, or listen to The River 94.9 FM radio each day to hear them. Open House December 15th at noon! Can't decide what is right for you? On December 15th Spa 35 Med Spa is hosting a "Lunch n Learn" open house from noon to 1:30 pm. The Spa 35 team will be available to answer your questions, we'll have some snacks and drinks, no appointment necessary. Got Crow's Feet? Botox® injections are a great way to minimize wrinkles caused by muscle movement around, between and above (forehead) the eyes. Do you have little extra fat you're hiding under bulky sweaters and coats? Now is a great time to reduce love handles, abdominal fat, bra fat and thigh fat! Some of us have a little extra bulk under our chin that no diet and exercise removes. With Kybella® injections (from Allergan®, the maker of Botox®) you can improve your chin profile without surgery! Schedule a free consultation for more details. You can grow your own lashes to be fuller, longer. Stop getting lash extensions every few weeks by "growing your own"! Now get a free 3ml bottle with every 5ml purchase. Return your face to a younger looking you with cosmetic dermal fillers for your cheeks, mouth and lips! As we age our cheeks, mid-face and lips lose their plump youthful appearance. Cosmetic fillers replace that lost volume, rolling back the hands of time. Most popular cosmetic filler injections are: Juvederm®, Juvederm Voluma®, and Restylane®. Restrictions apply. Monthly specials must be purchased and an appointment scheduled to have the service by the end of 2016. 12 days of Christmas specials must be purchased on the day of the special and scheduled by January 31, 2017. Failure to schedule the 12 days of Christmas in the required time frame will result is a forfeiture of of the special promotional package.